One morning Theo decides he is no longer human. "I'm a GRIZZLY! I'm WILD AND FREE!" But being a grizzly boy isn't easy if you still have to go to school. 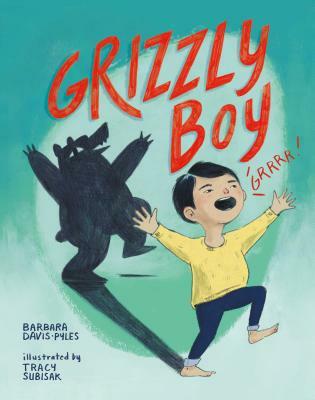 A fun, endearing, and sweet picture book, Grizzly Boy will have "wild and free" little grizzlies everywhere asking for repeat readings. One day Theo wakes up and decides he's a grizzly bear. He leaps out of bed, practices his growl . . . and his roar. . . and scratches his bottom on the bedpost. "Oh my! That's very convincing," his mother responds. When Theo finds a bowl of lettuce and berries for breakfast instead of his favorite Frosted Monster Bites cereal, he is still determined to have a day that's wild and free, but he finds it's more difficult than he expected, especially when you have a clever mother and still have to go to school where there are rules and more rules! BARBARA DAVIS-PYLES has written hundreds of fiction and nonfiction pieces for the children’s education market. In addition to her curriculum-based work, she helped create A Day in the Meadow (with composer Frederick Frahm), a pipe organ demonstrator for children (Wayne Leupold Editions, 2006). When Barbara’s not writing, she can be found hiking, biking, or packing for a road trip. She lives in the northwest corner of Washington State with her family. Find out more at BarbaraDavisPyles.com. TRACY SUBISAK was born and raised in the flatlands of Ohio and studied industrial design at the University of Cincinnati. Through her design work she discovered a passion for visual storytelling and made her debut as a picture-book illustrator with Shawn Loves Sharks by Curtis Manley (Roaring Brook, 2016) and Cy Makes a Friend by Ann Marie Stephens (Boyds Mills, 2017). She lives in Portland, Oregon, and can often be found traveling the world. She is fond of hiking, bacon, monster sounds, and high-fives!